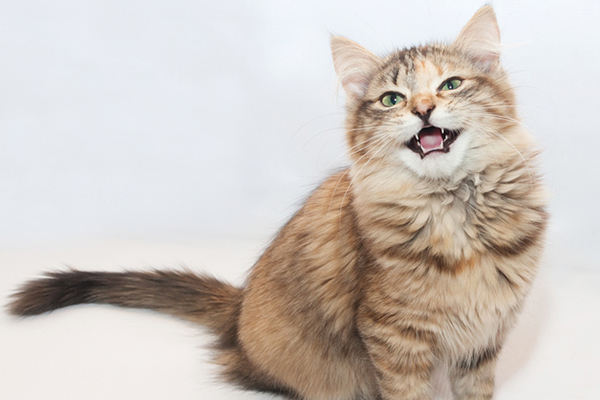 Some basic planning can make it easier to manage a kitty crisis. Whether or not we want to think about it, emergencies happen, and it’s better to make preparations and not need them than the other way around. I learned this the hard way when my cat, Dahlia, got extremely sick mere days after I’d moved to a new city: I was lucky I had Internet access so I could find the address and phone number of the nearest emergency vet clinic, but if I hadn’t, I would have had a big problem. 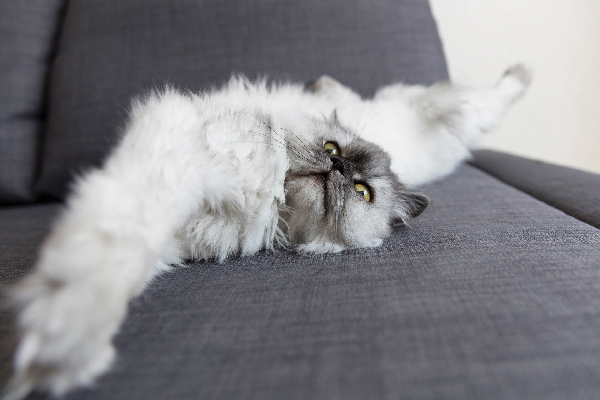 Here are some ways you can be prepared for a cat crisis. I’m amazed at how often I visit cat caretakers and learn that they either don’t have a carrier or that they don’t have enough carriers for all their cats. 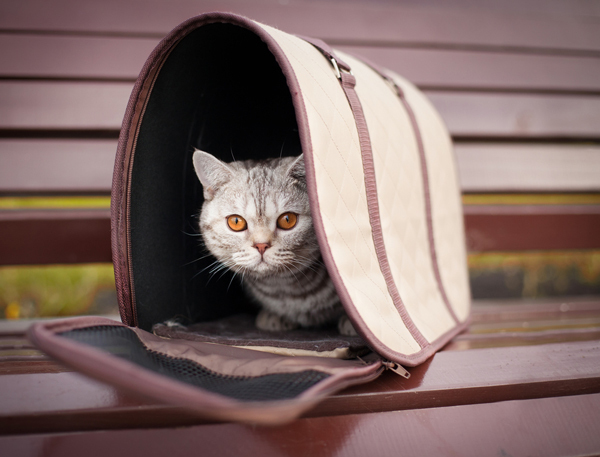 You must have a carrier for each of your cats so you can get the cats out safely in the event of a fire or other kind of evacuation. Keep the carriers as close to an exit as possible, not in the attic or a dark corner of your basement, and don’t bury them under boxes or bags full of out-of-season clothes. If you have a cell phone, add the phone number and address of the nearest emergency vet to your contact list. Alternately, keep the information near your house phone. If you have a GPS, program it with the address of the clinic. 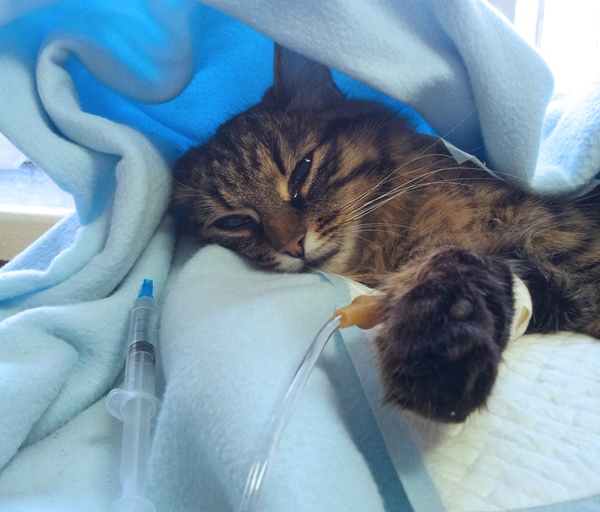 If the GPS can guide you, that’s one less thing to worry about when you’re distracted by your kitty’s health crisis. You can buy first-aid kits designed for cats, but if you’d rather gather the materials yourself, you can do that, too; this article tells you what you need. Evacuation kits are also important, and the ASPCA has information on how to prepare an emergency supply and travel kit for your cat. Some retailers sell evacuation kits as well, but check before you buy to make sure it contains everything your cat needs or be prepared to add extra items. Pet first-aid courses are offered by the Red Cross and other groups. I’m scheduled to take a pet first-aid and CPR class in April — I’ve been meaning to do it for a long time. 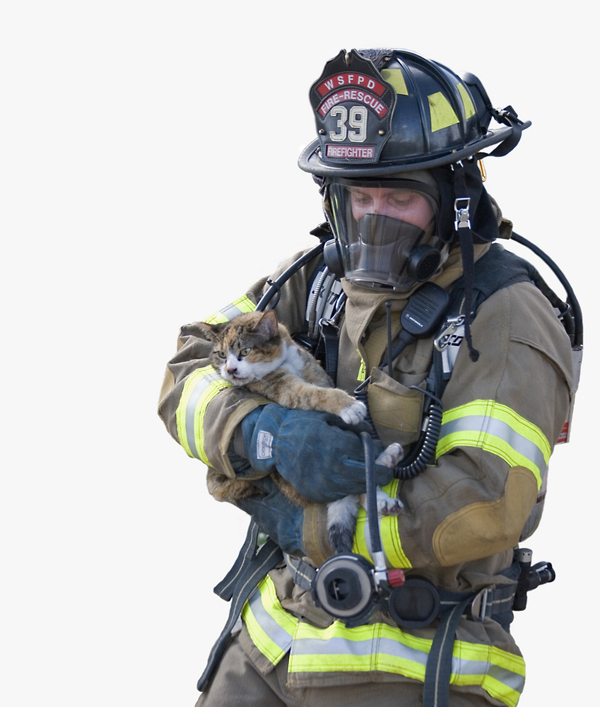 The instructor, who has extensively trained in pet and human first aid, is volunteering his time; the $60 fee for the class will be donated to an organization that purchases pet oxygen masks for fire departments throughout Maine. 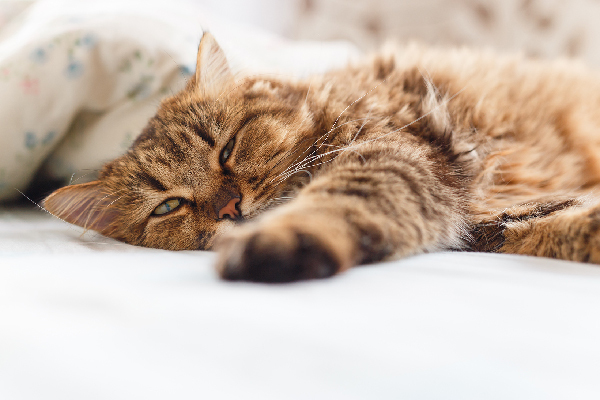 If your cat has a health crisis, it will really help you to have someone by your side to support you through all the emotions you’ll experience. Try to make an agreement with a friend who lives near you to help each other in the event of a pet emergency. If you don’t feel you’d be calm enough in an emergency to drive safely, ask your friend if he or she would be willing to drive you to the emergency clinic if needed. If you get ill or injured, a lot of people will be concerned for you, but they might forget that you have cats who need care. Prepare in advance by asking a friend to either care for your cats or arrange care for your cats if it’s needed. 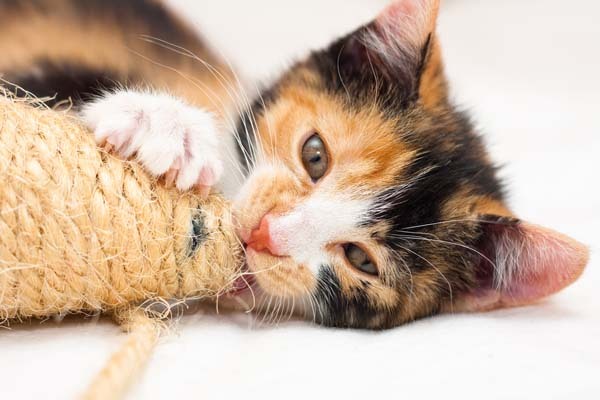 It’s also a good idea to prepare for your cats’ care in the event that you die before they do: Include your wishes about your cats in your will and, if possible, set aside some money to pay for their care. By preparing now, you’ll make life a lot easier in the event of a crisis. What have you done to prepare for a kitty emergency? Do you have other tips to offer? If so, please share them in the comments.